One giant female measures a whopping 24cm—but it is the smaller males that are most striking. 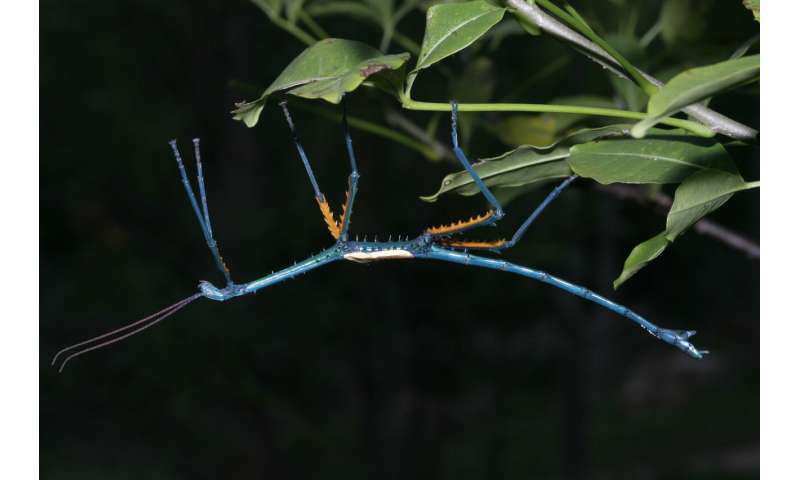 At sexual maturity these daredevils abandon their stick-like camouflage for dazzling blue or many-colored shining armor. 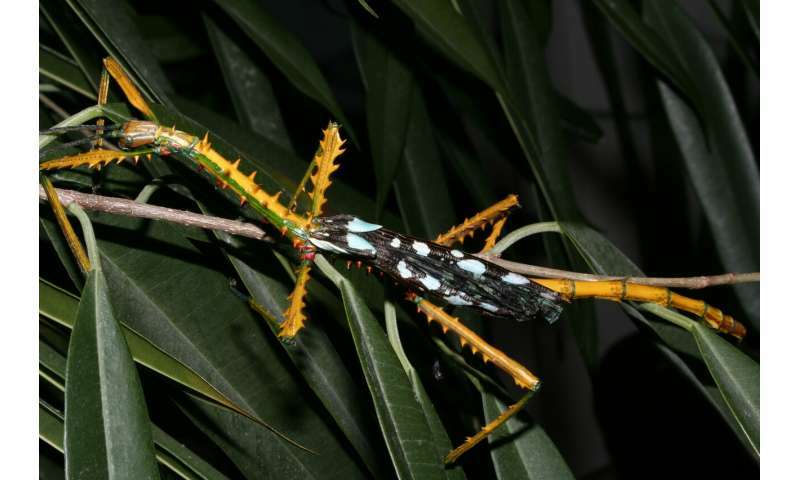 "Nearly all of the 3000+ known species of stick insects try to be inconspicuous and just look like twigs," says senior author Dr. Sven Bradler of the University of Göttingen, Germany. "There are a very few, very large exceptions—and we have just discovered a couple more of them." "These were similar in size—15 to 24cm—but generally less spiny and a bit differently colored than typical examples of their kind," explains Bradler. "Now genetic tests confirm that the quirky individuals are in fact two new species, distinct from the original two but part of the same group." explains Bradler. This might suggest that the males use their bright coloring to attract a mate. However, it is hard to believe the males could find a mate before being eaten—unless their bright coloring acts as a deterrent to predators. Bright colors—suggestive of toxicity—keep safe vivid members of other typically camouflaged species, like lividly colored Madagascan frogs.